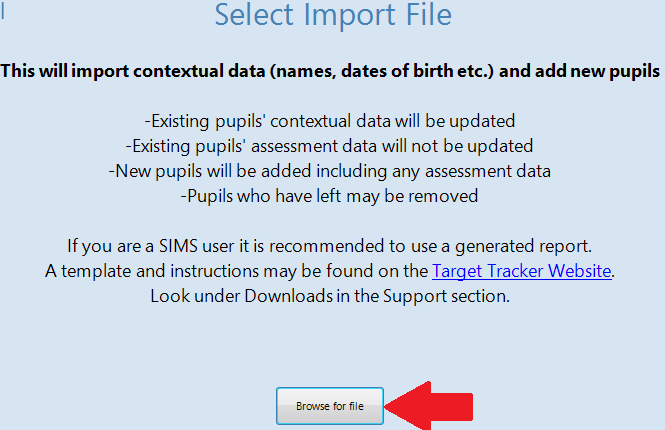 Browse to the website www.eesforschools.org/targettracker/downloads and click on “SIMS.net Data Extraction”. Make a note of the version of the template as highlighted in the picture below. In the pictured example the version would be 15. From the Main Screen of Sims select Reports – Run report. Click on the newest TT report and then click on the Run button. An example of the newest TT report is highlighted in the picture above. Click on browse, go to a location of your choice and enter a name for the file and save it. 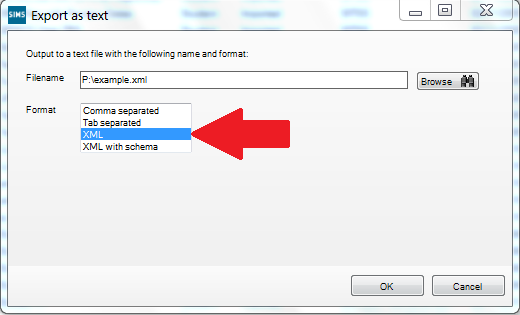 Leave as the default type which is an xml file, then click OK on the 2 messages that pop up to confirm the file has been exported. This file can then be used to update Target Tracker databases with contextual data, it will not update any assessment data. 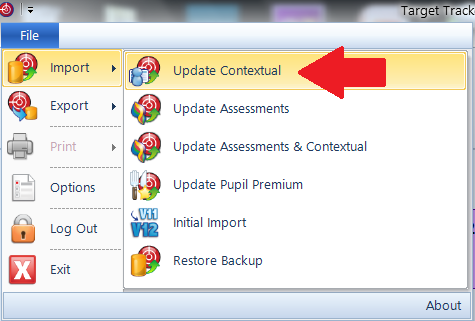 The update contextual screen will appear as pictured below. 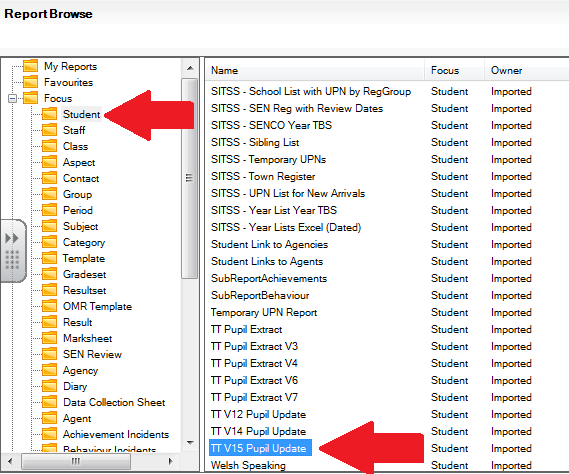 Click the “Browse for a file” button and select the SIMS report from the location chosen previously and open it. Children highlighted in red will be removed and in green will be added. Everyone else will be updated, the updated data is highlighted in orange. Take care to check the leavers and new children carefully before continuing and completing the import.